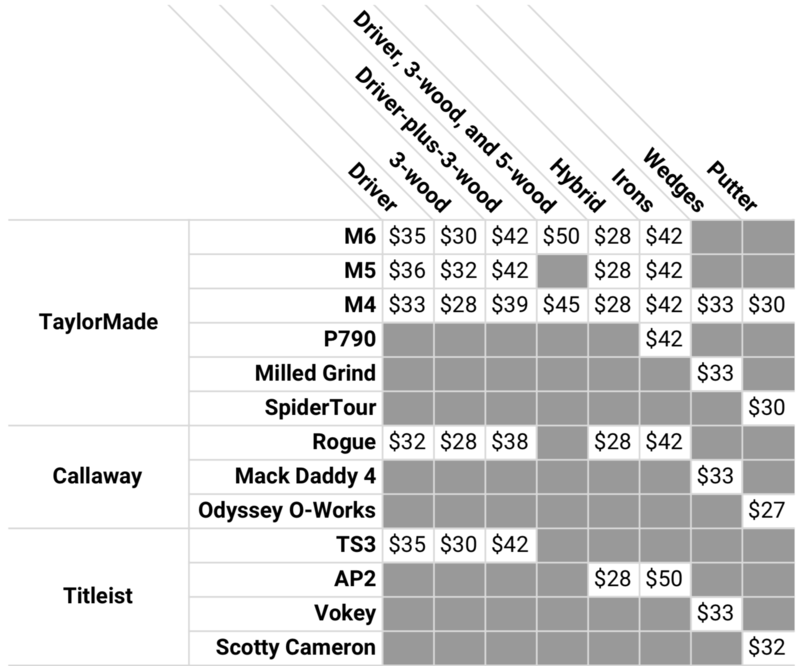 We offer a range of pricing options to fit your needs, based on the make and model of clubs you’re renting. We also offer a variety of accessories, including Bushnell laser rangefinders; Titleist, Callaway, Kirkland, and Vice golf balls; and FootJoy gloves: everything you need to travel light and have a great day on the course. We offer a 10% discount for customers renting seven or more sets at a time. If you’re renting in bulk and would like to take advantage of this discount, please call us at (323) 405-4463 or email us at support@clublender.com. A pre-paid return shipping label. No hidden fees. Please note: shipments to residential addresses incur an $11 surcharge. If you would like to treat a golfing buddy or a loved one with a rental of a premium set of Callaway, TaylorMade, Titleist or PXG clubs, buy them a subscription plan. What could excite a gear-interested golfer more than a set of shining new golf clubs in a glistening white Vessel bag? Please note that the cut-off time for orders is 3 pm PT three business days before you need the clubs. Need clubs sooner than we can ship them? Call us: we offer curbside pickup during business hours from our office in Los Angeles. Learn more about how it works.